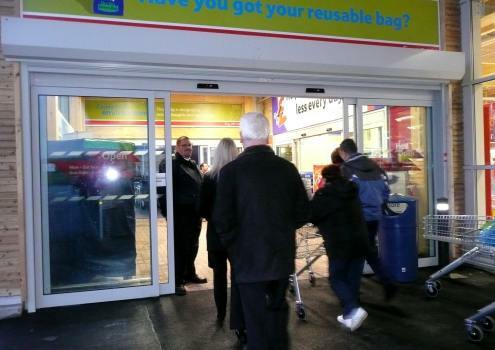 A new Tesco supermarket and petrol station opened at 8 am on the 22nd November 2010. This is sited adjacent to the motorway on the site of the former Europa Truck Stop. . The Tesco supermarket and petrol station in the final stages of construction in Lesmahagow. 14th November 2010. The official opening did not take place until 10 am. 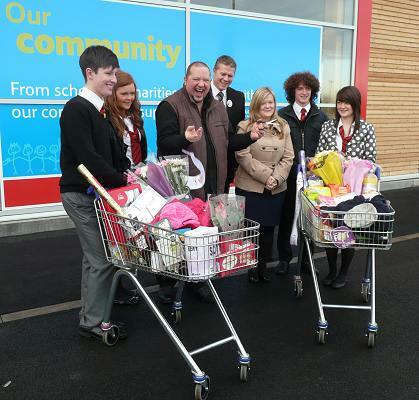 The ribbon-cutting ceremony was carried out by Stephen Hunter, a star of The X-Factor and a local resident, together with pupils of Lesmahagow High School, Louise O'Donnell from St. Andrew's Hospice and the Store Manager, Andrew Mexson. 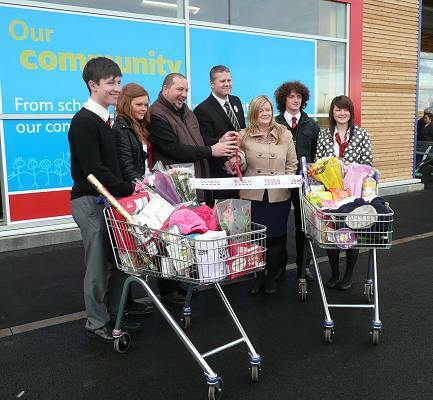 On the left, pretending to cut the ribbon with some large plastic scissors. On the right, donation of the cheques. 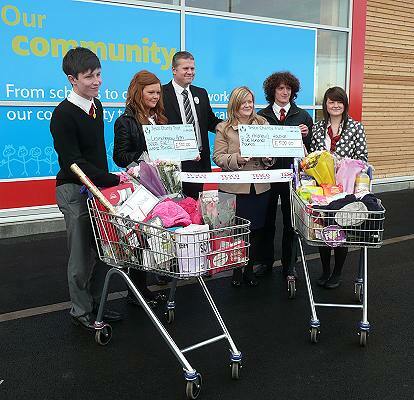 Tesco donated two cheques of £500 each to pupils of Lesmahagow High School. One was for a charity of their choice (St. Andrew's Hospice). The other cheque to the school will go toward the annual school prizegiving in June. Before Stephen sung, he was interviewed by the Master of Ceremonies about his experience in The X-Factor and about his plans for the future. To most people's surprise, it was Stephen's birthday and he was presented with a birthday card by a member of the audience. The audience then sang "Happy Birthday" to Stephen. 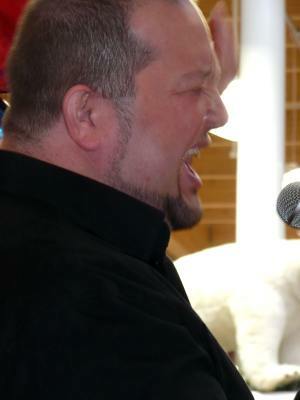 Stephen sang three songs, beginning with his hit "Burn Baby Burn" from The X-Factor. 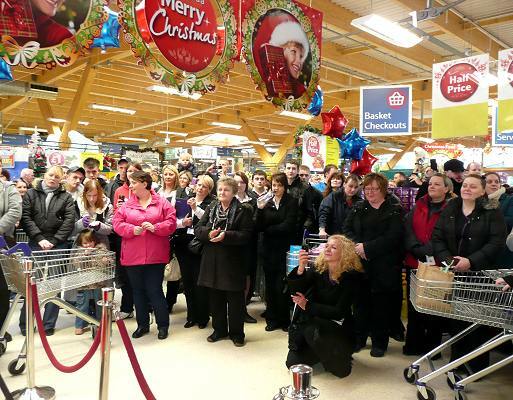 The appreciative audience were rewarded with a ballad that Stephen performed as his encore. 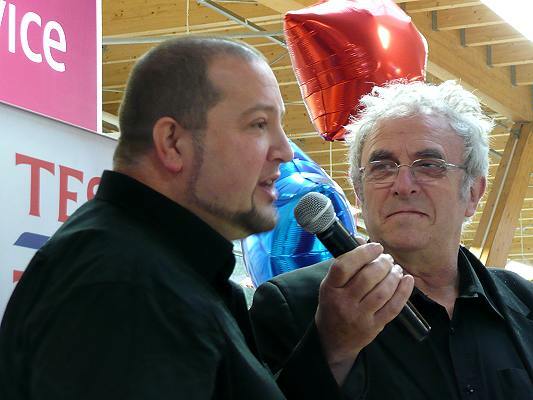 Stephen being interviewed (left) and with his birthday card (right). The appreciative audience (left) and one of the couples dancing in the aisles (right). 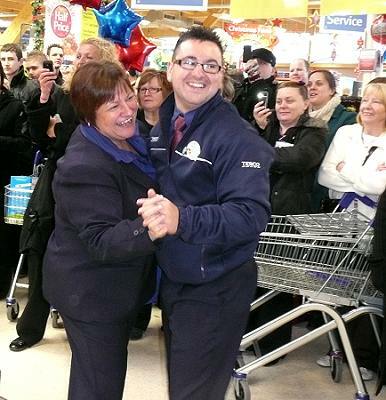 Congratulations to the Store Manager and his team for putting on a memorable opening ceremony. 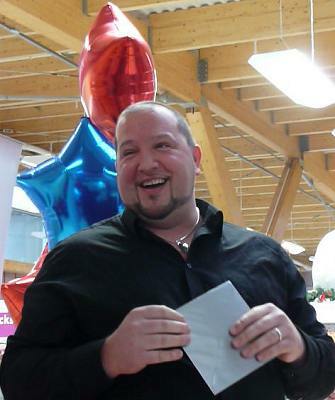 Congratulations also to Stephen Hunter for his performance at the opening and adding a touch of magic to the ceremony. 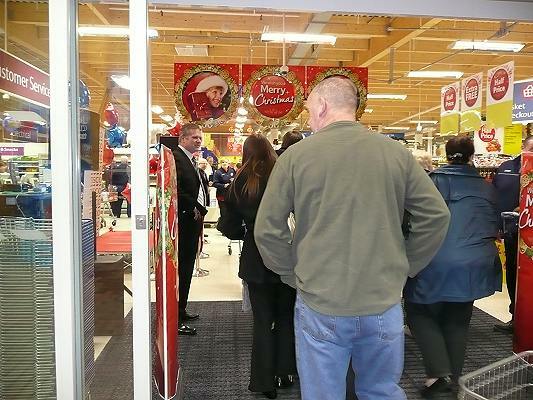 Black marks to Tesco Head Office for failing to publicise the event and for failing to recognize the Lesmahagow store. 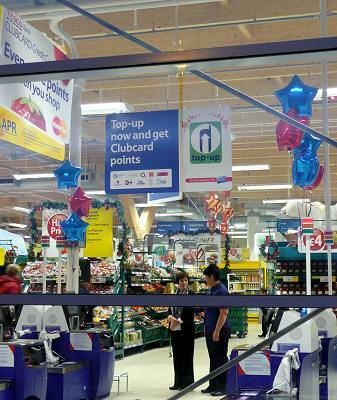 It took about a month for the Lesmahagow store to appear on the Store Locator section on their website. Finally, a further black mark for failing to ensure that the petrol station had fuel in time for the opening at 8 am. 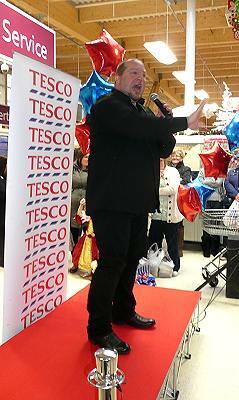 Youtube video Opening of Tesco Lesmahagow by Hughpdi. 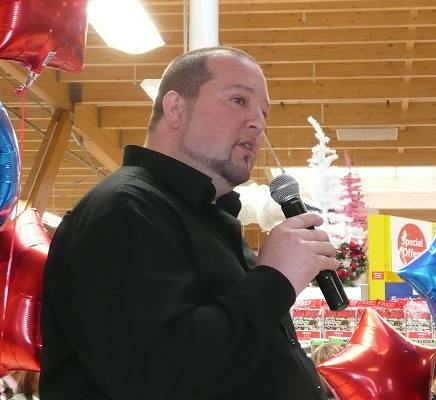 Youtube video Stephen Hunter @ Tesco Lesmahagow by McBridgez.